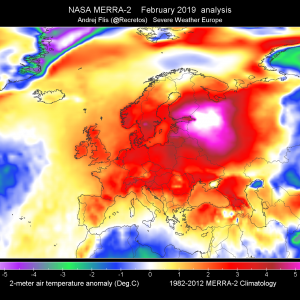 An extensive upper ridge still dominates, centered across S Scandinavia and NW Europe. A deep upper low is rotating over the Iberian peninsula, slowly moving northwards. 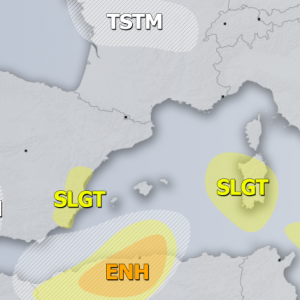 It will produce unsettled conditions and thunderstorms across parts of the Iberian peninsula and extreme W Mediterranean. The powerful cyclone is still travelling north of Scandinavia towards the east, producing severe winds and snowfall. 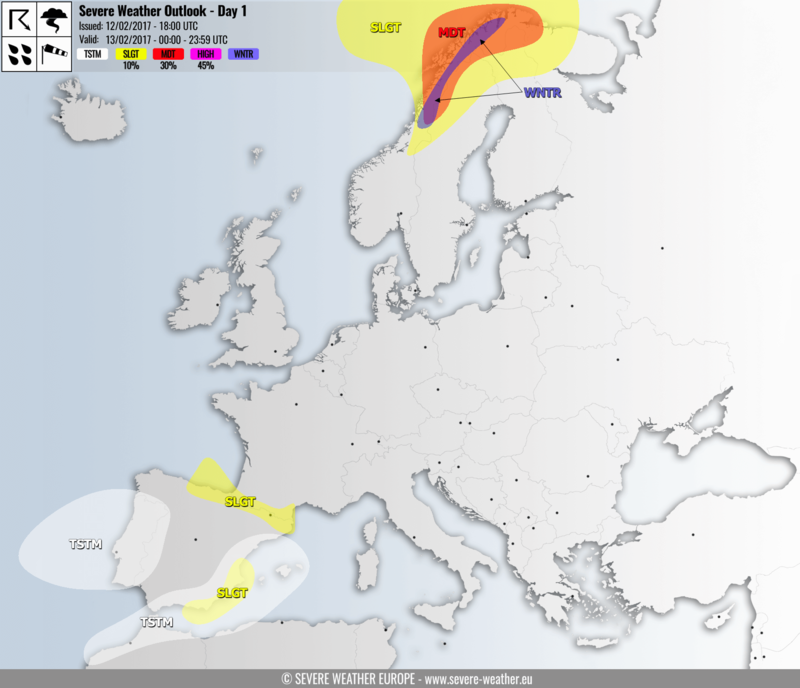 A MDT risk has been issued for parts of the Norwegian sea, N Norway, extreme N Sweden, N Finland and extreme NW Russia with threat for severe wind gusts in excess of 150 km/h. 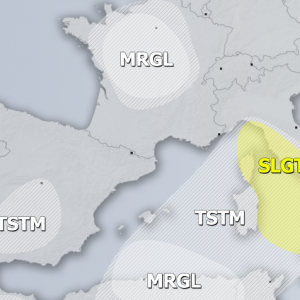 A SLGT risk has been issued for parts of the Norwegian sea, N Norway, extreme N Sweden, N Finland and extreme NW Russia surrounding the MDT risk area, with threat for severe wind gusts in excess of 120 km/h. 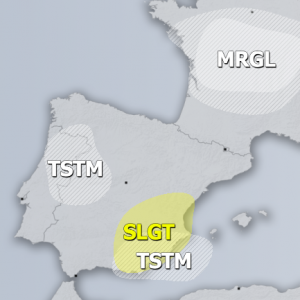 A SLGT risk has been issued for extreme SW Spain and towards the Balearic Islands with threats for severe winds, marginally large hail locally torrential rainfall. 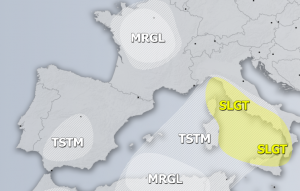 A SLGT risk has been issued for parts of N and NE Spain and extreme SW France for severe wind gusts up to 120-130 km/h and excessive orographic rainfall along the eastern Pyrenees.